The Sentoo Collection | Stylistic Inc.
For women looking for comfort and flexibility, the newest addition to Stylistics’ wig collection is a great option. The Sentoo Collection was developed in Europe with superior quality and comfort in mind. Sentoo is the Japanese word for “excellent,” which is what the brand strives to achieve. There are seven wig styles to choose from, each of which is lightweight and has a natural look and feel. These wigs come in a range of colors to compliment your skin tone and natural coloring. Each wig is customized to fit you right and will be styled to create a look you love. With a range of lengths and bang options, there is a style in this collection for everyone! The Sentoo Premium Plus wigs are made of “Flexi-Fibre” hair to allow for the use of heat styling tools. 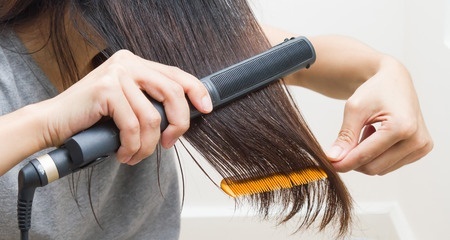 Use your curling iron, flat iron and blow dryer; just be sure to keep the heat at 120 degrees or lower to avoid damage. Sentoo wigs also have an invisible hairline, making it impossible for others to know that it isn’t your own hair. To learn more about hair replacement options available or to have your wig professionally colored and styled, contact Stylistics, Inc today. Book an appointment by calling us at 602-234-3381. We look forward to hearing from you soon!